We all change. When you think about it, we’re all different people, all through our lives. 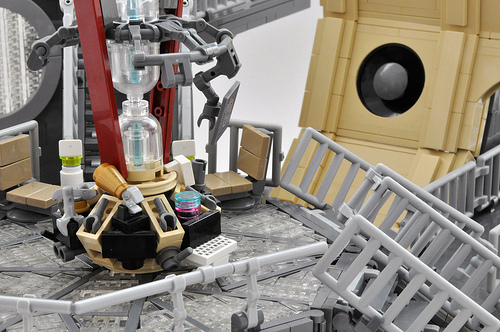 We’ve seen plenty of great LEGO TARDIS models over the years, including the rather excellent LEGO Ideas 21304 Doctor Who set released at the end of 2015. Prior to the official set, most builders focused on creating great police boxes, rather than the detailed interiors that generally vary from Doctor to Doctor. 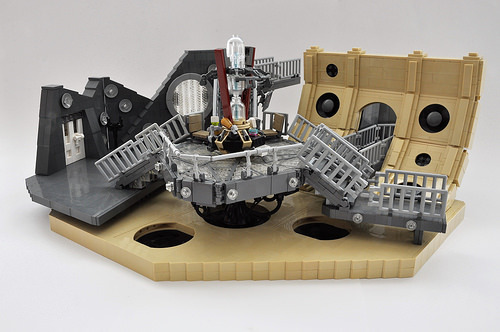 Inthert corrects this oversight with the main console room of the 11th Doctor’s TARDIS, including the white interior of the front door and the sloped walls with circular openings. The console itself is lovely, with various controls that only the Doctor and a few experienced companions understand how to operate. The floor is built from trans-clear plates, and various walkways lead off to other parts of the vessel’s enormous interior. My only complaint is that the scene feels a bit quiet, so I’ll just assume that the Doctor is off on an adventure with Amy and Rory.